For new windows that will deliver many years of worry-free performance, the best choice in frame materials is an easy one to make: Fibrex®. Fibrex composite windows offer multiple advantages over other window materials, delivering superior performance and durability that far overshadows wood, vinyl or aluminum windows. This unique, cutting-edge material is a composite that offers superior strength and rigidity, while also providing excellent insulation characteristics. Fibrex is a sustainable material that combines advanced thermoplastics and 40% recycled wood into a robust, natural looking window frame and sash. Won’t warp or sag – ever! Because Fibrex is so strong and rigid, we are able to make our composite windows with a narrower frame and sash, leaving room for a more expansive glass area. That means a wider view and more natural light flowing into your home, all without sacrificing energy efficiency or security. 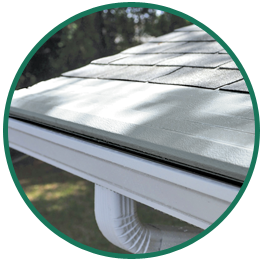 Get Your Free Estimate on New Composite Windows! 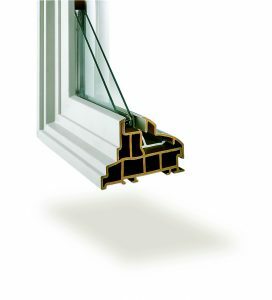 Ready for new windows that deliver superior durability and excellent energy efficiency? Complete our convenient online price quote request, or call Huff ‘N Puff today at (855) 483-3678 to get a free, no obligation estimate on new windows.